So far, so good.Very courteous and prompt. Inspections are well done and any problems are always adressed. I just switched my service and so far, Mike and Andy have been great. I really like the head of the time notification both of them provide. They have been courteous and professional!! 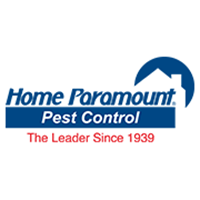 Heard about Home Paramount on WBT radio; for crawl space inspection. HP installed encapsulation. Josh Mooe was the inspector and installation foreman. The scheduling and communication went efficiently. A criteria for anyone coming to work at my house is that they are dog-friendly, which they were. Josh also knew an electrician who came to hook up the outlets (also cost-effective, electricians are hard to come by at a fair price). I would recommend Josh and his HPCC team: they are prompt, courteous, and knowledgeable: HPCC offers a fair price also. Josh and all the employees that service the Statesville NC area are very professional and are great at treating the right problem you have in a timely manner and at the best price I have found. Thanks again to Josh and the rest of the team that services my area! I found Home Paramount during an event in Charlotte. They were kind, knowledgeable to my needs (I had a home I had just bought and didn't even know where to start for pest control) and not pushy at all. Bill came out to my home and explained their entire process. He walked me through every inch of my home both inside and out to show me any concern areas and asked about my concerns. One of my biggest concerns were the chemicals in the spray (I have 2 cats). But the product they use is completely pet friendly! They come out quarterly (and it is a very reasonable price, plus they are always on time). If you're not home, they still do the entire outdoor area for you. They also come out if an issue arises in-between visits. I have life-threatening allergies to bees/wasps and when I saw a couple outside in my gutters, I called them in a panic. They were out the next day and took care of the problem immediately. I have had their services now for a year and HIGHLY recommend them! Great people that do a great job. Very dependable. Always answers questions and makes sure everything is great. Great guys. Very professional and explained things in great detail. They wouldn’t do anything unless we understood it first. Highly recommend them! very professional and knowledgeable people. The team did a great job putting in my vapor barrier. They were friendly, informative and professional. We were very pleased with your service and your service did exactly what you said it would our problem is gone I would highly recommend this company for any bug problem you have. Great service, friendly associates and the mosquito service works very well! Excellent professional and courteous service. Bill has taken great care of us and results have been amazing. We are looking forward to a long professional relationship with Paramount. We love home paramount at The Silver Collection at The Park!!! Everyone I’ve dealt with have been very professional. Also very helpful, courteous and patient. All questions I’ve asked have been answered and explained where a “regular” person can understand! Thank you! I'm very pleased with the service I receive. Thank you! Techs are always polite and thorough. I thought the initial visit was excellent. Great service by the service tech. Loved the follow up. Very attentive, professional and courteous. Super professional and excellent service. This is the best pest control company I've ever used. They're always nice and very professional. They go out of their way to make the customer happy. We give Home Paramount a 5 star rating because of our technician! Jon Kopp has a wealth of knowledge about pest control, insects and wildlife in general. You are very lucky to have hired him. Been very helpful! Quick to respond! The bugs are dead, what more needs to be said. YEAH. I appreciate the call to tell me when you’ll be at the house. I also like the pay by phone. Your service and your staff have been very impressive! Thank you! Excellent service and came within 48 hours to my home upon my first call to the co.
Andy Peck is the only technician I will ever use for my flips and my RE clients. As long as he is with you, you will have my business. I’ve had no mosquitoes for 2 months now. I can finally enjoy my back deck! Very happy with Josh and Mark. Andy is a great technician! REally happy with the technician's service and your companies response to my concerns. Had some minor issues, sent an email and they took care of it quick,fast and in a hurry, with no hesitation.